The capital of the Philippines doesn’t always make the news for the right reasons, but if you want a vivacious and underappreciated city, Manila is ready to challenge your assumptions. There’s a walled citadel from where the Spanish ruled their eastern empire for centuries, Baroque churches and packed, crazy markets that might be the wrong side of aromatic but are obligatory all the same. And insulated from the chaos and choked streets are some of the largest malls anywhere in the world, of such mind-bending proportions that you’ll feel like you’re in a whole other town. The oldest part of the city is all there was of Manila before the 20th century. it’s a tight grid system contained by sturdy 16th and 17th century walls, and is a big contrast to the high-rise cityscape around it. This was the capital of the Spanish East Indies from the 16th century to 1898, and has the appropriate churches, courtyard palaces and administrative buildings in beautiful colonial architecture. Like many old colonial settlements Intramuros has the strange feeling of a European city centre far from Europe. 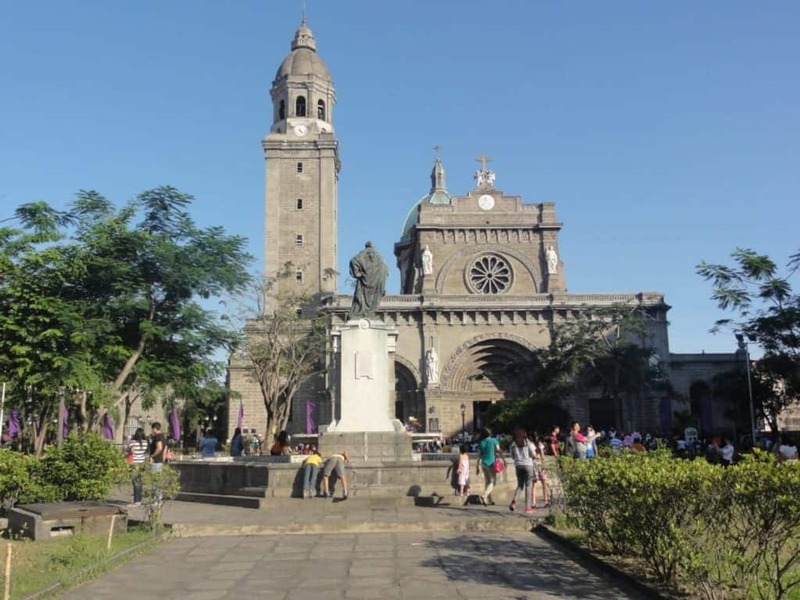 A few attractions on this list are in Intramuros, but look out for the statue of King Carlos IV on Plaza de Roma, the newly restored Ayuntamiento building and the Puerta de Isabel II gate, with a statue of the Queen. Tour on foot, by calesa horse-drawn carriage or motorised tricycle. Begun at the end of the 16th century, this spectacular building is a UNESCO site and the oldest stone-built church in the Philippines. The church is in the resplendent Baroque style and needs a visit for its marvellous interior where trompe l’oeil paintings on the barrel vault and pilasters mimic pediments, reliefs, rosettes, laurels and other intricate mouldings. There’s a crucifix from the 1500s in the chancel, while the 17th-century stalls in the choir are hewn from rich molave wood inlaid with ivory. Get there early or late in the day as the church closes to the public when weddings are on. The monastery attached to the church was wrecked during the Second World War, but was rebuilt in the 1970s and its former refectory, sacristy, crypt, halls and library now hold a museum. This is an insight into Manila’s colonial years and the history of the Catholic faith in the Philippines. There’s a big cache of ecclesiastical art including paintings, wooden statues, crucifixes, furniture, antique missals, old vestments and altars brought here from churches around the country. You’ll also be given plenty of detail about the history of the city, from the arrival of the Spanish in the 1500s to the partial destruction of Manila in 1945. At first glance Manila’s Chinatown doesn’t seem like much of a tourist spot; it is noisy, a bit run-down and the traffic is often in gridlock. But it helps to remember that there has been a Chinese trading presence in the region since the 800s, and this quarter, known as Bindondo, grew as a neighbouring town for the oppressed Hokkien Chinese immigrants and their descendants throughout the Spanish colonial era. The best way to see it is from a jeepney or calesa. 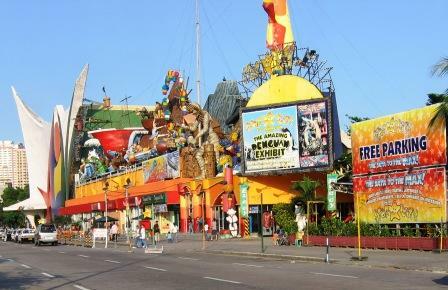 It deserves your time for the Kuang Kong and Seng Guan Buddhist temples, and the herbal stores and vendors along Ongpin and Carvajal Streets. If you’re feeling peckish, there’s no better area in Manila for dim sum. In Makati there’s a museum about the Philippines’ art, ethnology and archaeology in the large, air-conditioned former stock exchange building. There are six main permanent exhibitions, dealing with traditional Filipino maritime vessels, embroidered silk worn by the Philippines’ 19th-century elite, porcelain as a legacy of a thousand years of trade with China, and works of art from the 19th and 20th centuries by artists like Fernando Zóbel and Juan Luna. One astonishing gallery abounds with gold items made by Filipino cultures before colonisation, while you can get up to speed with the country’s history with 60 chronologically ordered models at the Diorama Experience. The waterside promenade on Manila Bay is special in the evening when you can watch the sun go down. Those gleaming waters were the scene for the Battle of Manila Bay between the United States Navy and Spain in 1898, which ended in a decisive American victory and brought the curtain down on the more than 300 years of Spanish rule. The Baywalk is two kilometres from the American Embassy down to the Cultural Center of the Philippines and has a line of palms buffering it from the busy Roxas Boulevard. Across the road are skyscrapers, and as you get down to the Manila Yacht Club there’s a precinct with cafes and restaurants. This is a genial little area, with live music street performers and food vendors. 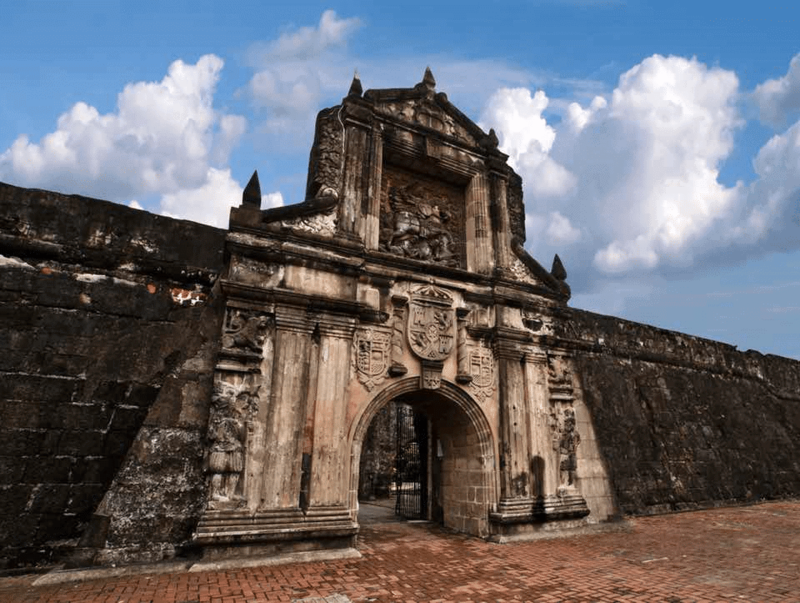 Built in 1571, the military base for the Spanish government was in the northwest corner of Intramuros, close to the cathedral. The Battle of Manila took its toll on the compound in the Second World War, but a lot of this was subsequently restored. The monumental main gate has the Spanish coat of arms below a relief of the Spanish patron saint Santiago Matamoros. The fort is also somewhere to get in touch with the Philippines’ independence movement. At the start of the Philippine Revolution in 1896-1898, the national hero José Rizal was incarcerated here before his execution. You can see where he was imprisoned, and there’s a shrine in his honour, replicating his ancestral home. Founded in 1571 Manila Cathedral has suffered fire, earthquakes and war, and the imposing monument on Plaza de Roma today is actually the 8th rebuild. That does nothing to detract from the sight, and unlike San Agustin you can go in even if a wedding is in progress. The cathedral went through a restoration a few years ago, and Pope Francis gave a mass in 2015 not long after it reopened. Things to keep an eye out for are the high vaults in the nave, the reflective marble floor and stained glass windows designed by the 20th-century Filipino artist Galo Ocampo. 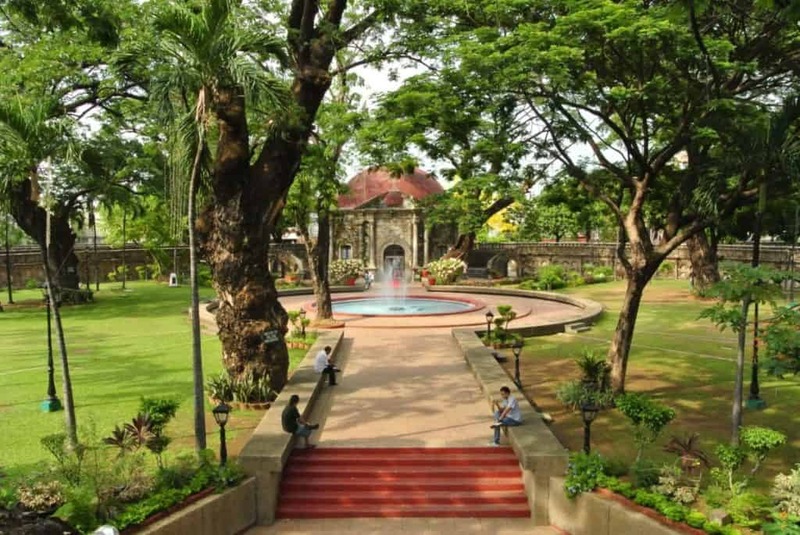 At the southern limit of Intramuros is a park and plaza integral to Philippine history. Independence was officially declared here in 1946, and this is where the patriot José Rizal was executed in 1896, bringing the Philippine Revolution to a head. The monument at the spot where he was killed was erected in 1913 on the 17th anniversary of his death. It holds his remains and is guarded day and night by soldiers from the Marine Corps. At the western end the Quirino Grandstand, with a capacity of 10,000, was set up specifically for the independence proclamation in 1946. Beyond all this historical significance, the park is also a rare open space in the city, a green island against some of the world’s most congested streets. On the east side of Rizal Park, this museum has paintings and sculptures by the most prominent Filipino artists in the 19th and 20th centuries. Among them are Juan Luna, Fernando Zóbel and Félix Hidalgo, who represented a wave of Filipino art that swelled as the country was pushing for independence from Spain. 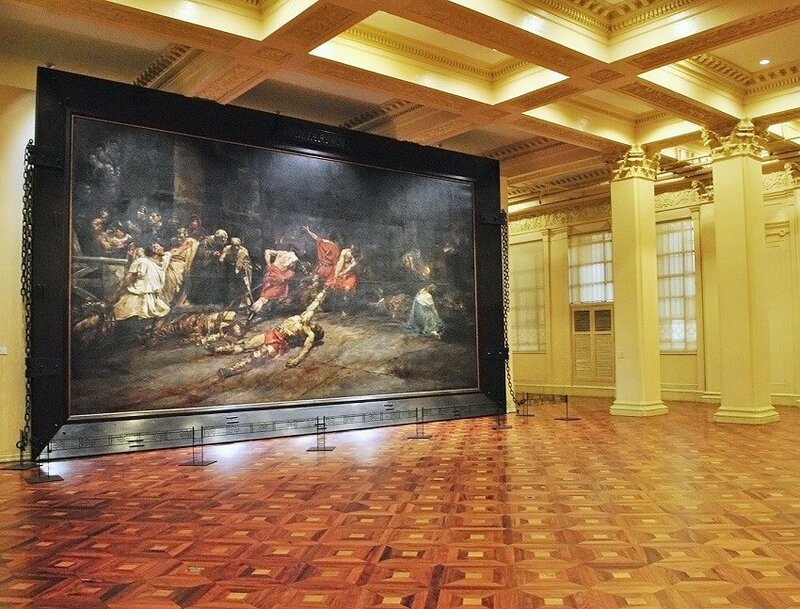 That is the context for the museum’s showpiece, the Spoliarium by Juan Luna. This painting from 1884 won the gold medal at the Exposición Nacional de Bellas Artes in Madrid, and its symbolism, showing dead gladiators being dragged away from the circus, was not lost on José Rizal. 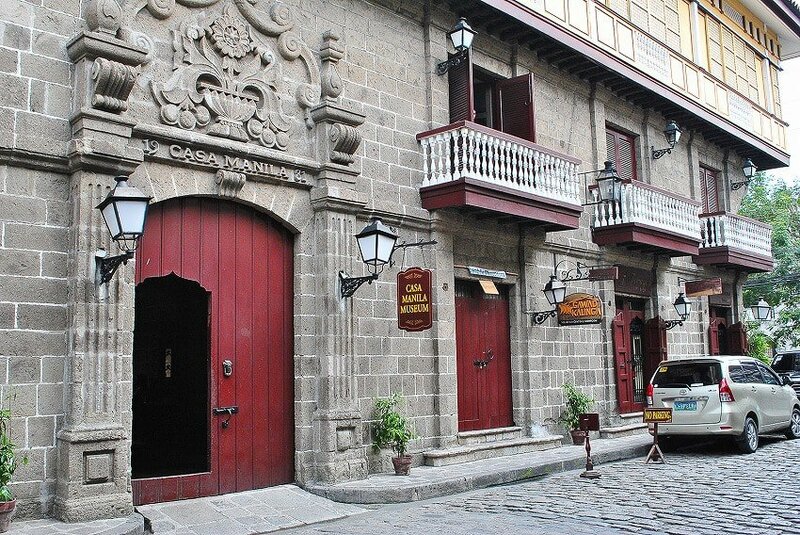 The Barrio San Luis in Intramuros has a house-museum that shines a light on the Spanish colonial period in Manila. The house isn’t as old as it looks; it was built in the 1980s but is a faithful reproduction of a mid-19th century house on Calle Jaboneros. It has a stone base and painted wood structure on the upper floor, with a passageway opening onto a courtyard with palms and a fountain. Inside you can make your way through richly decorated lounges, bedrooms and into the kitchen and bathroom. Each room has its share of authentic artefacts, including the bathroom, which has a peculiar wooden twin lavatory. Another stop on the José Rizal trail, the very solemn Paco Park was where the national hero was first interred after his execution in 1896. This park has a circular format and was a cemetery throughout the 19th century. But in 1912 the tombs in the niches were cleared and the remains delivered back to their families. You can still make out these niches, filled in and cemented over, and there’s a balustraded walkway on top of the walls that contain them. In the middle is a pretty sequestered garden with lawns, trees and flowerbeds, and the circular cemetery chapel of St Pancratius. As we hinted earlier, there has been Chinese community in the Philippines since long before the Spanish colonial period, and this museum in Intramuros records the history, culture and achievements of this minority. Across three floors you’ll learn about the early exchanges and first arrivals in the 9th century, and the difficult, itinerant lifestyle many Chinese endured in colonial times. Independence brought on a period of assimilation and opportunity, when Chinese business owners help lead the Philippines’ industrialisation. There are prints, photographs and ceramics, and profiles of 20th-century Chinese Filipino figures like former president Corazon Aquino. As with the other places of worship in Manila, this church has suffered through earthquakes and war. But during this time it has kept its Baroque facade, which has a majestic pediment, flanked by two towers and supported by Corinthian columns. You might need a double-take when you step inside, as the shiny white interior is totally modern and dates to the 1980s. The goal of a visit should be to see the Black Nazarene in the altar. This is a full-sized icon of Christ carrying a cross. It is made of dark wood, and was crafted in Mexico, ending up in Manila in 1606. The icon’s feast day is January 9 (Traslación), and is an epic display of religious piety, with hundreds of thousands of penitents joining a barefoot procession. A remnant of the colonial period, this cemetery was plotted for Chinese residents who weren’t allowed to be buried in Manila’s Catholic cemeteries. It’s another attraction that fills you in on Filipino culture, and was the site of many executions in the Japanese occupation during the Second World War. And the difference between these hushed gardens and memorials, and the streets of Manila is palpable. 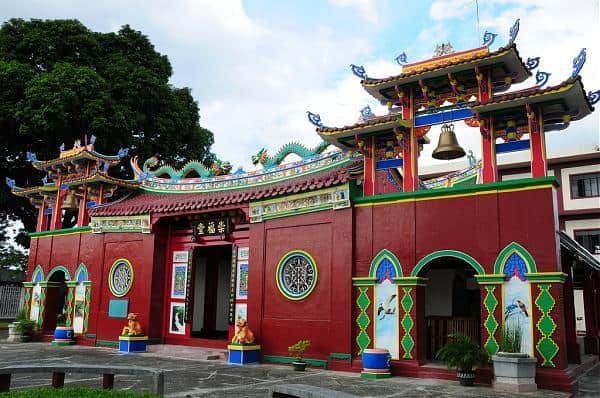 The Chong Hock Tong temple dates to the 1850s, and so is th oldest in Manila, boasting a design that resembles the temples in China’s Fujian Province. Also pause at Liat See Tong, a memorial hall for the Chinese community leaders and scholars who were killed by the Japanese. This is a heaving market near the Mall of Asia, set along tight aisles where stalls are piled with shrimp, lobster, langoustine, crab, mussels and all sorts of fish from tuna to blue marlin. There’s a neat a custom where you buy what you want from these stalls and then take it to the restaurants outside the market to prepare it to your taste. 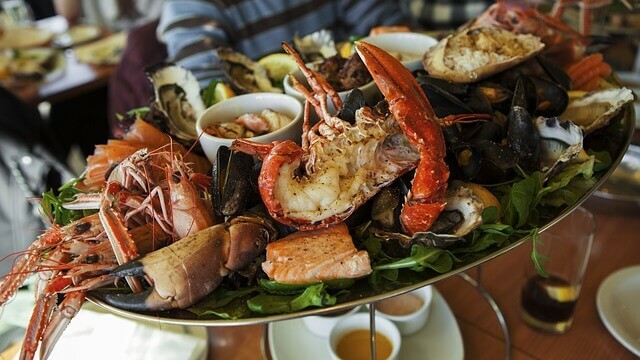 This can be a pricey way to dine, but you’ll be reassured that the produce is as fresh and can be, and you can spread the cost out if you’re in a big group. In Makati there’s a mammoth upscale mall complex that almost beggars belief. 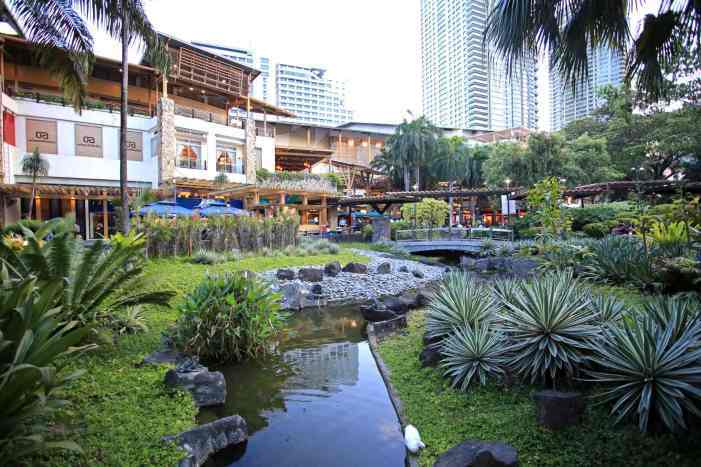 It’s couched in Makati’s dynamic skyscraper-filled cityscape, and to first-timers seems to be a never-ending series of shopping centres around a park. There are 300 shops and restaurants, but that doesn’t include the network of offshoots that make it very easy to lose all sense of direction and time. Shop here for designer fashion brands like Calvin Klein, Gucci and Prada and a multitude of bars, restaurants and coffee shops. This is just one element of a vast shopping complex interconnected by raised walkways. To confirm that Greenbelt is a proper community, there’s a chapel here in a quiet garden surrounded by malls and apartment blocks, and a few steps from the Ayala Museum. It’s a bit disorientating to suddenly arrive at a place of worship amid all the commerce. This chapel has been here since the mid-1980s and is often used for weddings and religious ceremonies. It’s a circular pavilion, with open arches on the perimeter and a gorgeous stained glass skylight in the centre of the ceiling. The second-largest mall in the Philippines dwarfs even the Greenbelt Mall and is the fourth-largest in the world. You’ll find it in Ortigas’ business district and now has more than 800 store, having just opened its new “Fashion Mall”. The stores here are aimed squarely at mid-market fashion shoppers, out for bargains at shops like Gap, Topshop, Uniqlo, H&M, Mango, Bershka and Zara. Part of this enormous complex is the Megatrade Hall, hosting international events and conventions, as well as a skating rink, bowling alley, multi-screen cinema and two separate food courts. This market in Tondo is a Manila institution bursting with street food vendors and stalls selling clothing, accessories, handicrafts and fresh produce. All the fashion items will be knock-offs of course, and most of the vendors are happy to bargain with you. The throng, noise, traffic, heat and smell can be overpowering, but it’s one of the best ways to see real life in the city. Your best bet is to go with a guide to avoid getting lost or pickpocketed, and help negotiate the vendors down. 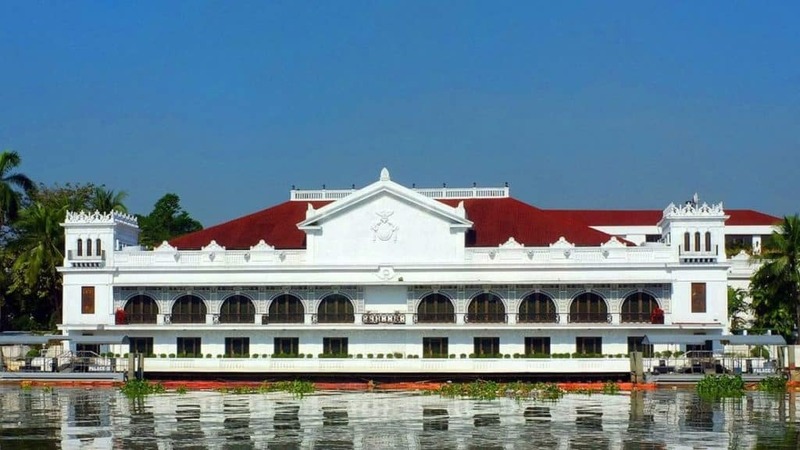 The presidential palace made international headlines in 2016 when the new president Rodrigo Duterte refused to move in because of ghosts. If you’re braver than him and want to see it for yourself you have to plan ahead and book a tour in advance. The palace was built in 1750 for the nobleman, Don Luís Rocha, later becoming the summer home of the Spanish governor-general. Since then it’s been a residence for every Spanish and American governor, and then every Philippine president except for the incumbent. It’s a high-priority document of 20th-century history, with snippets of information here and there, and photos, furniture and general memorabilia for its important former occupants. Manila is a musical kind of place, and if you end up at a videoke or karaoke bar on an evening you’ll work this out for yourself. These nightspots can be found all across the city, including the more upscale neighbourhoods around Greenbelt. Some are large halls where only the most daring and talented will be able to get up and sing in front of a crowd. But if that sounds like a nightmare to you there are lots of venues that have group rooms where you can embarrass yourself in front of your friends only. See Red Boc, Music 21 Plaza, No. 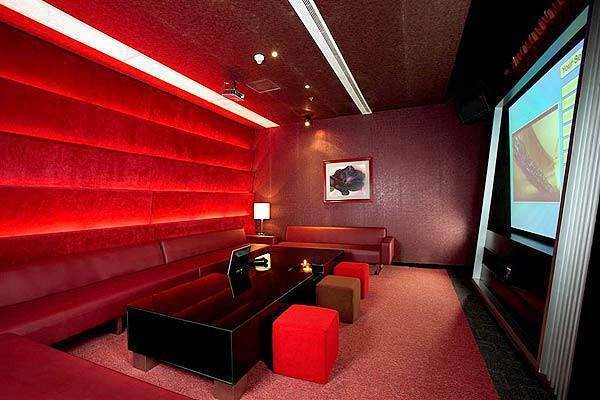 38 Sports Lounge and Grill, The Suites at Republiq Karaoke and CenterStage. Do this while you still can, as legislation has been passed in 2017 to remove these ageing hulks from the road. 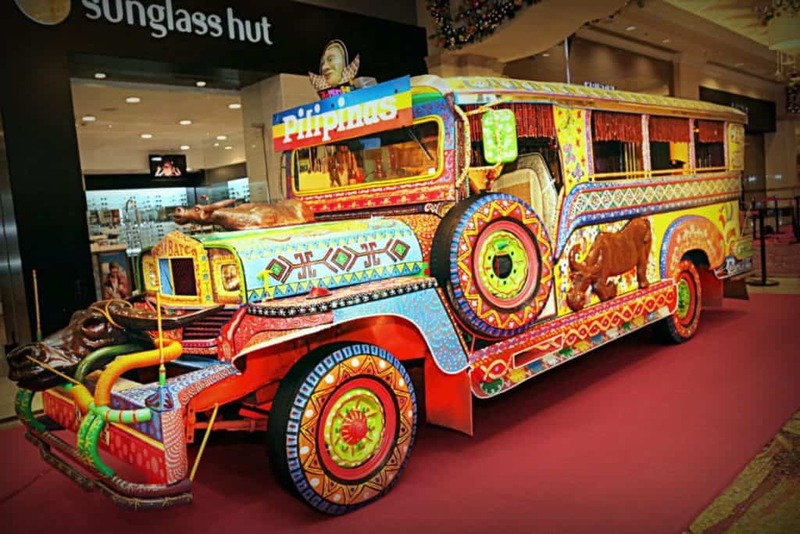 Jeepneys, buses adapted from American jeeps in the 20th century and painted in garish colours. They are as big a part of Manila’s identity as the yellow cab in New York or double-decker bus in London. They’re also the cheapest way to get around, as so are almost always overloaded with passengers. When you get on you often have to ask other passengers to pass your fare to the driver, and you have to shout when you want to get off. If you have youngsters with you there are plenty of options for days out away from the crazy streets and seedier parts of the city. Generally these can be found around malls, like the branch of Kidzania at Bonifacio Global City. Where Rizal Park meets Manila Bay there’s the Ocean Park, showcasing the marine life of the western Pacific and South China Sea. Right next door to in the old Elks Club buildings is the Museo Pambata, which is a hands-on museum approaching science and world affairs in child-friendly ways. Lastly, one street in from the baywalk is the city zoo, though the conditions might be a little distressing. And there’s always the Star City theme park, just past the yacht club. The food scene is so cosmopolitan, and there are so many points of contact (markets, roving vendors, street food carts, restaurants of all descriptions) that you could write an entire book on dining in Manila. But there are some delicacies that are totally Filipino. 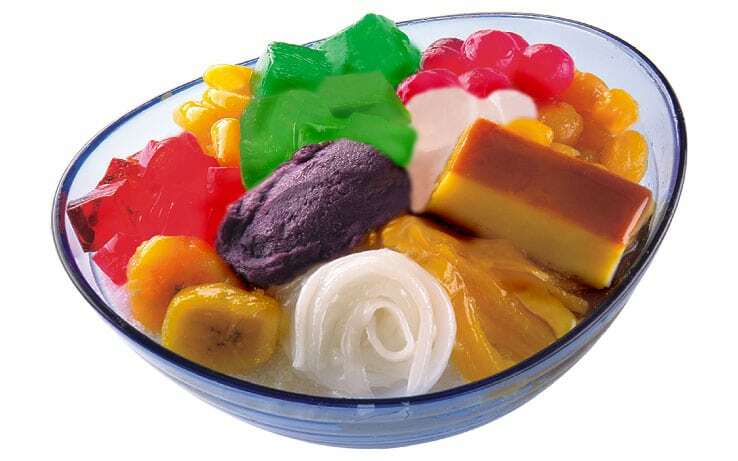 One is Halo-Halo, a sort of granita with evaporated milk, sweet beans, various fruits, agar jelly and yam. The roast pork in Manila is up there with the best in the world, and barbecued pork skewers are amazing and chicharon, crispy pork rinds is a common snack. And if you’re really brave you can find balut, which is a street food consisting of a marinated day-old duck still in its shell and eaten whole. An usual but moreish sweet is ensaymada, a sweet pastry topped with cheese and a legacy from the Spanish period.